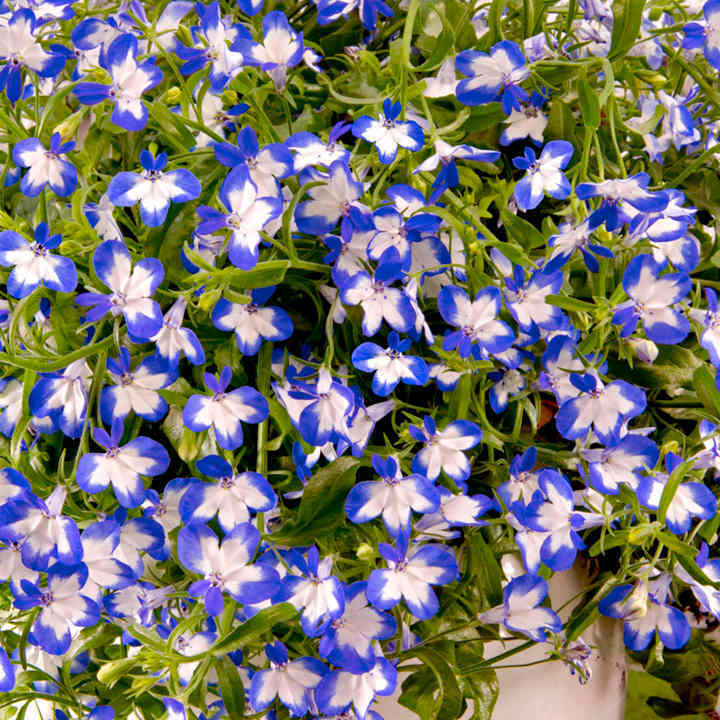 Masses of beautiful blue flowers with pure white star centres all summer long. More tolerant of hot summers than most others. Trailing. Flowers late May-October. Height 11-20cm (4-8"). Supplied in 9cm pots. 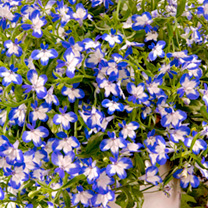 Ideal for patio pots and containers, hanging baskets. Grows well in sun or shade.